When you generate and install ssl certificate on the server, first you need to generate Certificate Signing Request (CSR) on the server where you want to install the SSL certificate. You should generate the CSR before ordering an SSL Certificate. A CSR is an encoded text string or file that consist information about your server and domain. When you generate a CSR, most server software asks for the following information: common name (e.g., www.example.com), organization name and location (country, state/province, city/town), key type (typically RSA), and key size (2048-bit minimum). The CSR cannot be decoded. or some similar error depends on certifying authority (CA) like an error occurred 3022296 csr is invalid, the csr cannot be decoded. During CSR generation you have not provided all required information i.e. some vital information is missing. You may have put some alphanumeric characters ( - ) ( ! @ # $ % ^ & * +) in required fields. Are you using different encryption method ie. RSA Or ECC encryption, most of the SSL/TLS certificates / CSR use RSA public key encryption. Be specific if you are using Elliptic Curve Cryptography (ECC). Leading or trailing character may be missing from CSR. May be any character lost from string body. There could be space character or newline (\n) or tab (\t) at leading or trailing positions. You may have copied all text from CSR file including commented text. Head up and check again you may be using RSA Private Key. May be using old CSR. How to solve CSR cannot be decoded error? Take care there should be no leading and trailing space or newline (\n) or tab (\t) and no character is missing from the encrypted code/ text. Make sure you have the correct file copied and not your self-signed certificate, your previous SSL, or if it is bundled as a PKCS7 or PKCS12. Or, you could have a pass-phrase that does not have alpha-numeric characters or disallowed characters. If this is the case, you will need to generate a new CSR without the disallowed characters or in the proper form. Please only use the English alphabet and numbers 0-9. For example, if the "&" symbol is included in your Organization Name, please type out "and" instead. Some valuable and time saving online tools are provided by SSL Retail to make the SSL installation process smooth and easy. 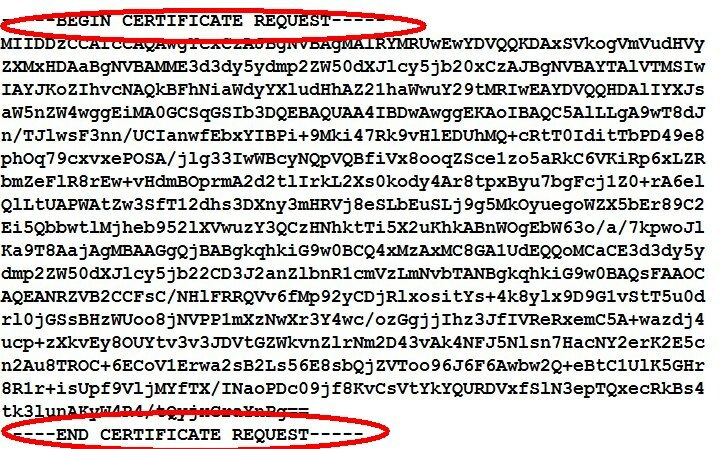 Here are some tools you can use to generate and decode certificate signing request (CSR). CSR Generator can generate CSR with provided data using SHA1 and SHA2 algorithm. This tool will also generate the key pair needed to install the SSL certificate. CSR Decoder can decode a CSR and help you to find the data error and mis-information. In case of Extended validation (EV) certificate you can verify the legal business name appear on the address bar. Certificate Key Matcher can find whether your key pair is valid or not. Server Checker detects any server related issues and check whether SSL certificate is installed and setup properly. For seamless and proper SSL certificate installation on production server we also provide Professional SSL Installation service. You can Order Here and get rid of all headache, we will handle it.